Asit P. Patel, MD graduated from the Medical College of Pennsylvania in Philadelphia, PA. He completed his residency in Anesthesia at Yale University School of Medicine, Yale-New Haven Hospital, Connecticut. 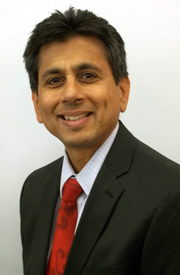 Dr. Patel is board certified in both Anesthesiology and Pain Management. He has been practicing pain management since 1992, and founded Comprehensive Spine and Pain Management, LLC in 2013. Dr. Patel uses conservative treatments as a first step in managing your pain, as well as to prevent further injury. For persistent pain he performs injections to identify the cause and to treat the pain. Medications are injected at specific targets with x-ray and ultrasound guidance.